We were alerted re Brooks by one of our regular attendees who gave a rave review of a show that they had seen and heard the night before. I bought his latest CD and after listening I was a believer. His biography hints of being around during the folk revival in the 60's together with Maria Muldaur and if his live gig is of that caliber we are in for an excellent evening. Brooks Williams is the proverbial triple threat. He plays a fiery guitar, has a rich and silky voice, and writes hook-laden songs. He is one of the most commanding performers on the acoustic roots scene, walking the line between Blues and Americana, he is ranked one of the world�s Top 100 Acoustic Guitarists. Recent appearances include Celtic Connections, Mo� Fest, Glastonbury, Shrewsbury Folk Festival, Cambridge Folk Festival, Ely Folk Festival, Birmingham Jazz and Blues Fest, Maverick Festival, Ards Guitar Festival, Kerrville Festival, Crawley Blues Festival, Marlborough Jazz Festival and Moab Folk Festival. All in all, thousands of gigs over thousands of miles! Born in Statesboro Georgia USA � from the land of blues legend Blind Willie McTell � Williams� southern roots took hold of his music when he moved to Boston Massachusetts USA in his late teens. It was there, in the little clubs and bars of New York and New England, that he developed his sound, playing 5-6 nights a week. The mid-week gigs were in raucous bars (think Blues Brothers and chicken wire and you�re nearly there!) with Williams typically playing for four hours without stopping. The weekend gigs were in quiet coffeehouses (the same ones that year�s earlier featured the likes of a Bob Dylan, Joan Baez, Bonnie Raitt, Chris Smither, Suzanne Vega and Tracy Chapman) where audiences hung on every riff and lyric. Williams learned his trade between these two extremes. 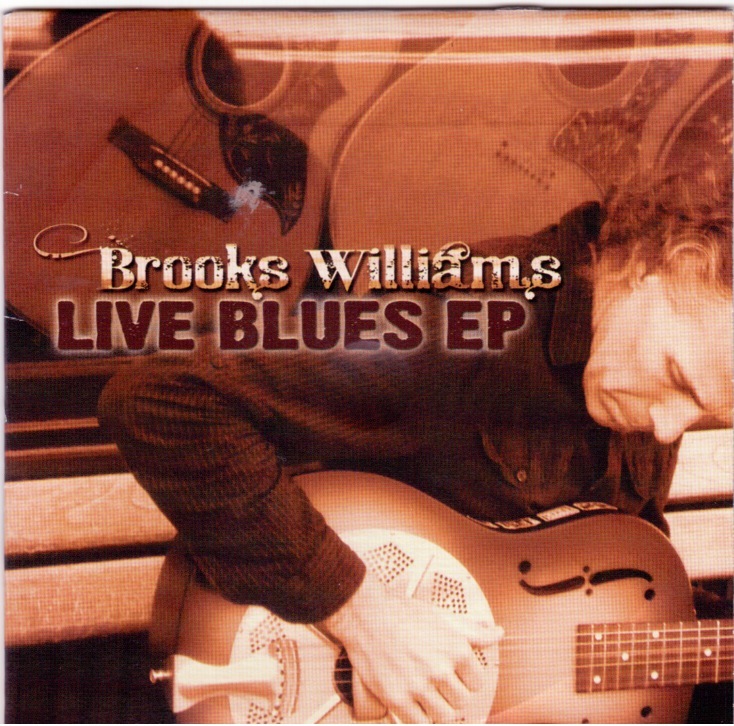 In recent years Brooks Williams has made his home in Cambridge UK and has dedicated a portion of each year to leading workshops on blues and Americana guitar, as well as working on special projects focused on the folk arts. He is a visiting lecturer at Anglia Ruskin University in Cambridge, working with aspiring musicians in the popular music programme. In 2012 Williams was awarded an Arts Award by the South Cambridgeshire District Council for his involvement in the local arts scene. Also in 2012, Williams contributed his voice and guitar to BBC Radio 2�s Radio Ballads, a six-week broadcast celebrating the London 2012 Olympics. State of the Union is Williams� collaboration with English songwriting legend Boo Hewerdine. The two wrote and recorded a CD released on Reveal Records in April 2012. The initial 30-date tour attracted fans of smart songwriting and classy guitar and has led to another 30-city tour as well as a tour of Australia. Voted one of the Top 100 Artists by WUMB-Radio Boston, Brooks Williams is a musician of staggering depth and breath, with an easy-going vocal delivery, groove-laden songs, and monstrous guitar chops, americanaUK says: �It goes without saying that he is an absolute master with a six string but Williams� talent doesn�t end there. He is personable and funny and easy to relate to when he shares anecdotes in between songs, which are themselves catchy and upbeat. On top of it all he has a beautiful voice that you just melt into. Brooks Williams is impossible not to like."